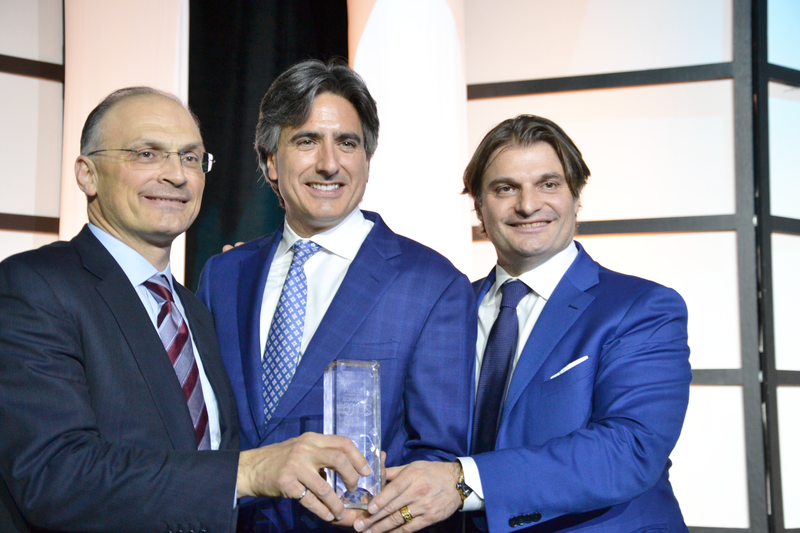 EnerQuality Honours Hall of Fame Recipient Paul Golini Jr.
On February 23rd Empire gathered with our fellow industry leaders at the EnerQuality 2017 Housing Innovation Forum and Awards to celebrate and acknowledge excellence in green building innovation. The day-long forum featured numerous housing products, services and seminars showcasing new ideas on the future of green building, culminating with the EQ Awards Gala where we all had the opportunity to congratulate our colleagues in their various efforts over the last year. To our delight and immense honor, Empire’s own Paul Golini was emitted to the EQ Hall of Fame. This distinct honor recognizes an individual who has made a significant and long term impact in the industry by advocating for and taking part in energy efficient and green building practices. We continue to live, work and build by Paul’s words, open and accepting of change and adaptation as new home building innovations surface. Congratulations to all this year’s winners. Check out our latest pilot project, The Empire Discovery Home, in Kitchener-Waterloo at our Riverland community where we’re experimenting with some of the newest energy-saving technologies shaping the future of home building.